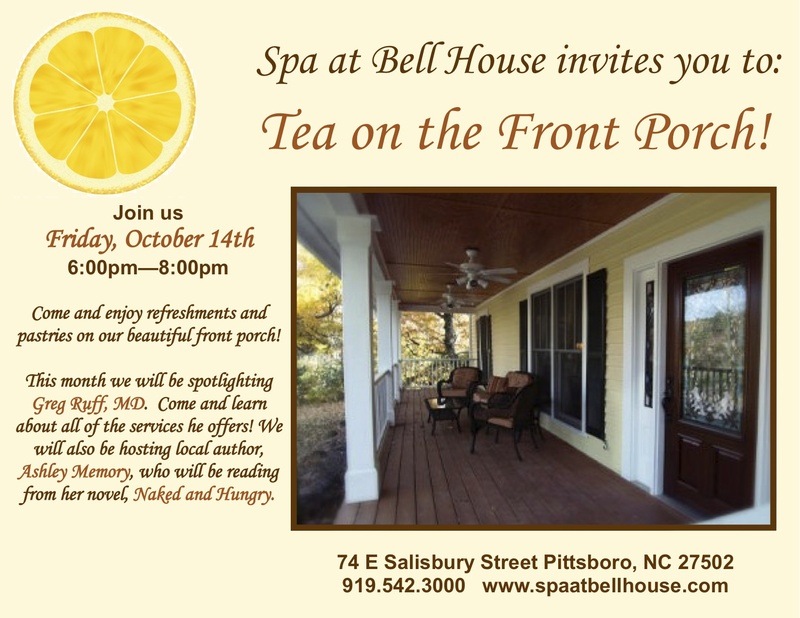 Join us again for Tea on the Front Porch with Spa at Bell House tomorrow night! We enjoyed our August visit with Spa at Bell House so much that we managed to get ourselves invited back! This time we’ll appear with the office of Greg Ruff, M.D. As you might recall, our main character, H.T. McMullen, has every reason to be grateful to medical professionals. After all, it was a local physician who helped him recover from a case of amnesia. So please join us tomorrow night from 6 – 8 p.m. for tea, pastries and conversation on the porch of one of the most beautiful houses in Pittsboro. 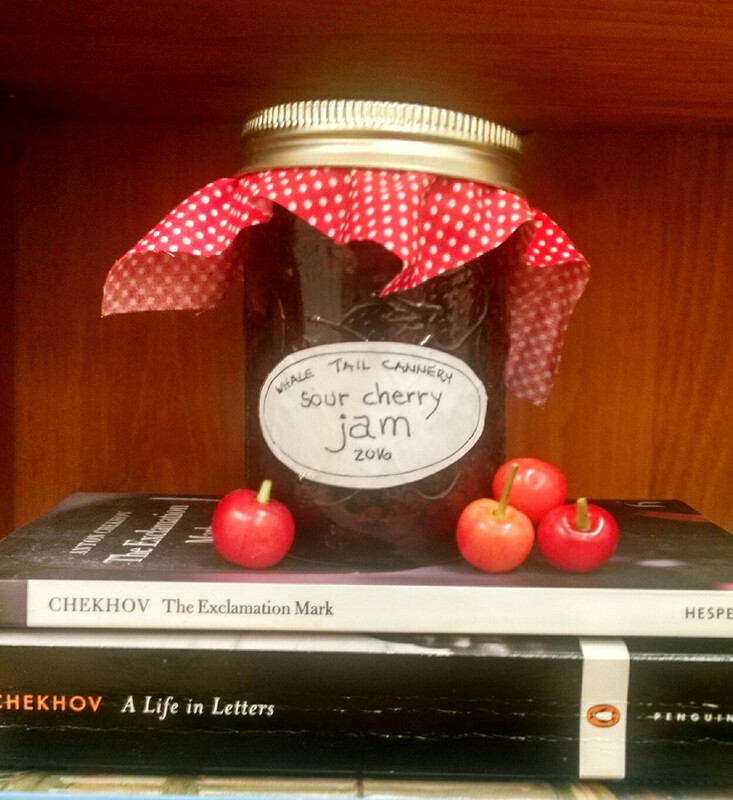 I’ll be reading a short excerpt from the novel and giving away another crepe pan! This entry was posted in Uncategorized on October 14, 2011 by Ashley Memory.